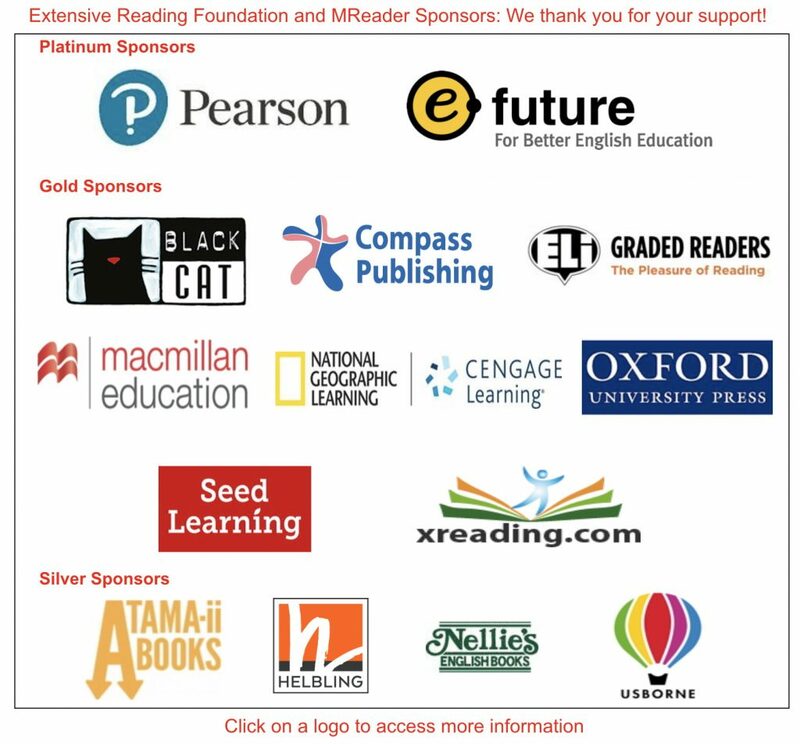 The Extensive Reading Association would like to thank the following organizations for their generous support of our activities, including support for the MReader.org quiz website. Please note that no reference to ERF support is made when making decisions on the Annual Language Learner Literature Awards. All publishers receive equal consideration regardless of whether their logo appears on this page or not. Further information on the benefits of sponsorship can be found on this page. Contact treasurer-at-erfoundation.org for more information about sponsorship opportunities.